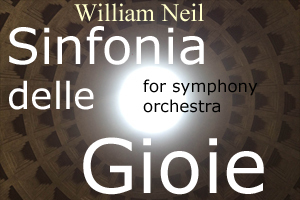 Sinfonia delle Gioie (symphony of joys) is a symphony in one movement that was inspired by my personal reflection on the joys that have emerged in my life over time. Musically I have drawn inspiration from the Norwegian willow flute or sallow flute that is a type of overtone flute played by varying the force of air blown in the mouthpiece. 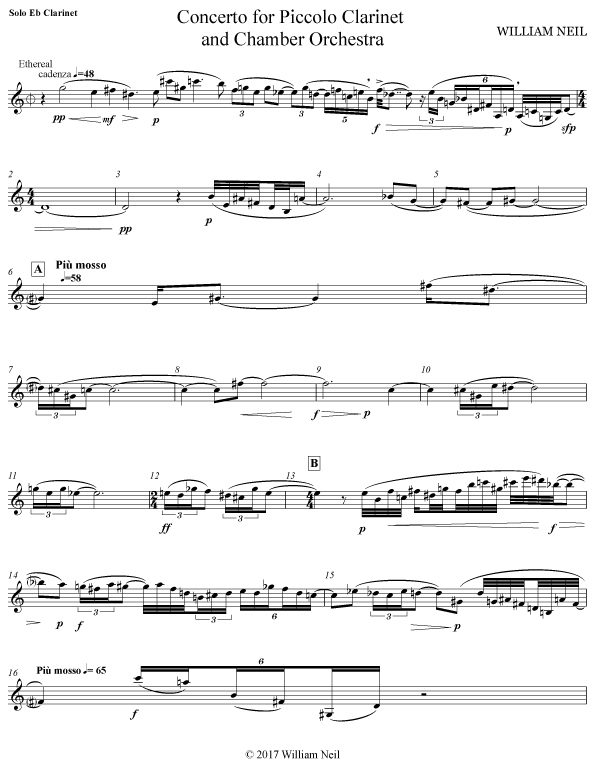 Indeed, the primary theme of the piece is a surging, joyful spring of sound that radiates from the flutes and double bass harmonics, emulating this simple flute. This jubilant theme threads throughout the entire piece and is the source of secondary themes that develop as the music unfolds. Melody in this symphony predominates and expresses what I call the “long, deep song”. I believe that all music stems from the basic impulse for humans to tell stories that reflect on their experiences through song and dancing and so my chosen genre of story telling is the magnificent medium of the symphony orchestra. Another meaning for the Italian word “gioie” is jewels. This word in my title references what I treasure most in my life: the gem-like memories that I cherish like jewels. So, this single movement symphony is an elaborate and powerful song that reaches deeply into the shadows and emerges with a universal expression of joy.